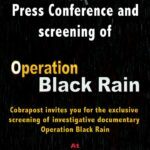 Cobrapost brings to light the conspiracy and exposes the conspirators behind the events of December 6, 1992, which rewrote the history of modern India on communal lines In a long undercover investigation, Cobrapost has unearthed the conspiracy behind the fall of Babri Masjid in Ayodhya on December 6, 1992, exposing the actors who pulled the strings from behind the scene, weaving about a complex cobweb of intrigue and deceit that even the CBI could not unravel after years of investigation. Working at different levels, these actors kept the whole plan a highly guarded secret with its details never coming out. The plan was given a codename, ‘Operation Janmabhoomi’, which Cobrapost found apt to use for its undercover operation, as well, and was executed with precision of a military operation, from conducting training to putting all logistics in place and finally launching the assault, using multitudes of crowds as cover. Posing as an author-to-be researching for his book on the Ayodhya movement, Cobrapost Associate Editor K. Ashish interviewed 23 of these actors, namely, B.L. Sharma Prem, Dharmendra Singh Gurjar, Jai Bhagwan Goyal, Pawan Pandey, Jaibhan Singh Pawaiya, Santosh Dubey, Swami Sachidanand Sakshi Maharaj, Mahant Ram Vilas Vedanti, Ramji Gupta, Ramesh Pratap Singh, Sadhavi Ritambhara, Sadhavi Uma Bharti, Vinay Katiyar, Kalyan Singh, Prakash Sharma, Champat Rai Bansal, Satish Pradhan, Mahant Avaidyanath, Acharya Dharmendra, Moreshwar Save, Lallu Singh, Brij Bhushan Sharan Singh and Swami Nritya Gopal Das. Of these, while the Liberhan Commission has indicted 15, the CBI has named 19 accused in its chargesheet, strangely enough leaving out B. L. Sharma, Mahant Avaidyanath, Nritya Gopal Das and Ram Vilas Vedanti. In all, 40 are facing trial in a CBI court, of which 32 have been made accused in FIR No. 92/197 as executors, while the remaining eight have been made accused in FIR No. 92/198 as conspirators. The investigation took Associate Editor Ashish to Ayodhya, Faizabad, Tanda, Lucknow, Gorakhpur, Mathura and Moradabad in Uttar Pradesh; Jaipur in Rajasthan, Aurangabad and Mumbai in Maharashtra and Gwalior in Madhya Pradesh. 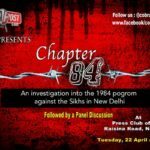 The Conspiracy and Preparations for the Assault Role of the Bajrang Dal: As the Cobrapost investigation reveals, the conspiracy to demolish the Babri Masjid was hatched at the top level and those who were recruited for training did not know it till the countdown for mosque’s fall began a month before in November. In June 1992, Bajrang Dal, for instance, conducted a month-long military style training for 38 of its cadre chosen from various regions in Sarkhej, Gujarat. The training was given by retired high-ranking military officers. Ideological teachings were imparted to the cadres by the likes of Acharya Giriraj Kishore, Acharya Dharmendra, Dr. Praveen Togadia, Jaibhan Pawaiya and Ashok Singhal. The drills conducted at the Neela Teela in Ayodhya by Bajrang Dal cadres took the training they had received in Gujarat a step further. But how and when such skills — like climbing taller structures with the help of grappling hooks and ropes — would be put to use was not revealed till the day when the top VHP office bearers asked them to form Laxman Sena with the specific purpose of dismantling the disputed structure in a top secret meeting that was held in the basement of Ram Katha Manch. According to Ramesh Pratap Singh: “Uss baithak mein hum paanch jo humari prashikshit logon mein se paanch the paanch ke baad chatha Ramji Gupta aur Durg Singh Chauhan. Humare adhikari ne humse milne ke baadunka samark wahi unka adesh tha baithak lenge Durg Singh Chauhan aur karravai jo bhi aapko karna ho aap kya karoge rachna kya karoge theek hai wo parde se huth gaye (There were five persons from among those who had received training in this meeting. The sixth person was Ramji Gupta and then there was Durg Singh Chauhan. After meeting with us this office bearer told us Durg Singh Chauhan would be our contact point and he would coordinate all the meetings. Decide whatever you want, how you will form it. After that this office bearer disappeared from the scene).” This VHP office bearer was none other than Champat Rai Bansal. Bajrang Dal’s War Cry ‘Jai Sheshavatar’: Apart from Ramesh Pratap Singh, this secret meeting was attended by Dharmendra Singh Gurjar from Gwalior, Madhya Pradesh, Hariya Lal Parikh from Rajasthan, Arun Khanna from Punjab, K. Nagarajan from Tamil Nadu and Arun Kumar Tiger from Jharkhand. Ramji Gupta was put in charge of this band of 1,200 RSS workers secreted from various regions. Gupta supplied them with all the logistics such as chisels, heavy-duty hammers, pickaxes, spades, grappling hooks and sturdy ropes in good numbers. The army was divided into smaller groups of 10 each with a leader and each group had its job cut out. All these groups had the instructions to merge with the crowds when they would surge toward the Babri Masjid for karseva and finish the tasks assigned to them. They would not listen to any leader, however senior and respected he might be, till the task was accomplished. ‘Jai Sheshavatar’ was the signal for the groups to begin work on their brief, which according to Ramji Gupta, had to be raised thrice. According to Dharmendra Singh Gurjar of Bajrang Dal from Gwalior, Madhya Pradesh, from among this band of Laxman Sena, even a suicide squad was formed, which they calledBalidani Jattha, a la the fidayeen Islamic terrorist organisations use. This squad was supposed to lead the assault on the Babri Masjid from the front. When the Babri Masjid was razed to dust on December 6, it was Shiv Sena chief Balasheb Thackeray who proudly claimed before the world that it was the Shiv Sena which did the job, as BJP leaders like L. K. Advani went about town offering apologies. Thackeray’s claim was not hollow as the Cobrapost investigation establishes. Role of the Shiv Sena: Like the VHP, the Shiv Sena too had its own plan to demolish the Babri Masjid and conducted a secret training camp in Bhind–Morena in Madhya Pradesh, bordering Uttar Pradesh, where necessary skills were imparted to its cadres. Says Vinay Pandey of this training: “Usmein Jai Bhagwal Goyal the Delhi ke aur ek Madan Lal Chadda Ghaziabad jinhone wahan vayavastha diya tha, Mahesh Ahuja the aur Anand Digheji uss samay Maharashtra se aaye the training dilwane ke liye (There was Jai Bhagwal Goyal from Delhi, there was Madan Lal Chadda from Ghaziabad who had made arrangements for the training, there was Mahesh Ahuja and Anand Dighe had come down from Maharashtra to impart training).” The top Shiv Sena leadership including Balasheb Thackeray, Raj Thackeray, Satish Pradhan and Moreshwar Save were keeping a tab on all these activities. Moreshwar Save is also learnt to have provided financial support for the training. 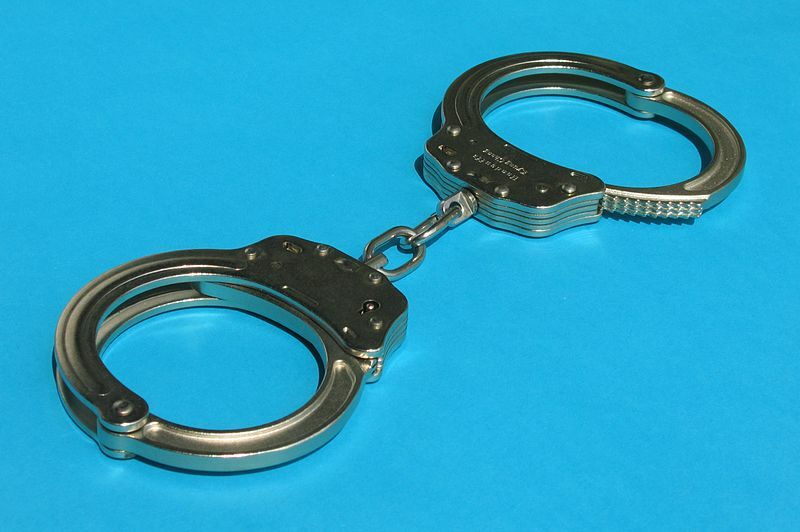 A co-accused in the case, Save helped with money to run the training camps. “Save ne kuch madad nahi ki sirf political aur arhtik madad ki. Uss samay khane-peene ke liye hum 65–70 hazar rupaya humko diya gaya tha wo logon ki khane peene ki vyavastha karne ke liye (Save didn’t help much. He helped us politically and financially. He gave us Rs. 65,000–70,000 to arrange food for the trainees),” claims Pawan Pandey, a Shiv Sena leader who has been chargesheeted by the CBI in the case. The Relic of Mir Baqi on Sale: In the thick of action on December 6, Pandey saw the domes of the mosque crumbling and saw the heavy stone plaque erected by Mir Baqi declaring the establishment of the Babri Masjid, fall apart in three pieces. He took away two pieces of the antique relic as memento. which are still in his possession. Pandey proudly says: “Wo toh abhi humare paas hi hai. Do hissa humare paas hai ek hissa jama hai (This is still with me. Two pieces are with me while the other is with the authorities).” Pandey now wants to auction these relics to make some quick bucks. Arsenal Used:While the VHP and its youth wing the Bajrang Dal were holding secret meetings at Ayodhya to plan the final assault on the Babri Masjid, the Shiv Sena leadership too was confabulating on the fate of the Babri from New Delhi’s North Avenue, which was attended by Save and Pradhan, among others. If all methods failed, Shiv Sena had an explosive Plan B: dynamite the mosque. Claims Goyal: “Humare paas dynamite bhi tha hum dynamite bhi lekar gaye the wahan par agar zaroorat padti usko bhi chala dete iss taiyari se gaye the hum (We were carrying dynamite there. If need arose, we had gone fully prepared to use it).” In 1990 too, Shiv Sena had tried this option, which was foiled as the police arrested Suresh Baghel who was carrying 28 dynamite sticks. Imagine the mayhem it could have caused had such zealots succeeded in their diabolical designs. If not dynamite, petrol bombs were definitely used by these saboteurs to dismantle the structure. This dangerous act was committed by the Bihar team of Bajrang Dal. Former BJP MP Brij Bhushan Sharan Singh was also seen planting a petrol bomb there by none other than his fellow karsevak Jaibhan Singh Pawaiya. Look at the claim Pawaiya makes: “Ek petrol bomb do baje koi lekar aaya jo eent mein lagane ke baad dhuan nikal kar reh gaya uske baad hila bhi nahi … Brij Bhushan laya tha arre petrol bomb (Somebody brought a petrol bomb at about 2 pm. After it was planted between the bricks, it did not work, releasing some smoke only. Oh, it was Brij Bhushan who had brought the petrol bomb).” Apart from petrol bombs, the forward squad of Bajrang Dal used traditional tools like chisels, heavy-duty hammers, pick axes, spades and grappling ropes were also used in good numbers to bring down the mosque. 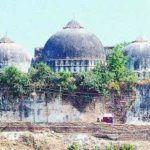 Sankalp to Demolish Babri: Sensing the do-or-die mood of Ram bhakts (devotees) who had descended on Ayodhya in lakhs to settle the issue once and for all, a Sankalp (or oath), was administered. The onerous task of initiating the vow fell on Ram Vilas Vedanti. The Sankalp said: “Sankalp mein likha tha aaj dinank 6 December ko hum sabhi Ram Bhakt Ram Lala ke prangan mein yeh pratigya karte hain ki jahan par khandahar khada hai uss jageh bhavya mandir banane ke liye iss Ram Janmabhoomi ke mandir ke khandahar ko hatana avashyak hai isliye isko hatake bhavya mandir ka nirman karaya jaaye iska sankalp hum log Ram Lala ko samarpit karte hain iss dhang se tha (There was written in the oath that on this day of December 6 we all Ram bhakts take this oath on the premises of Ram Lala that it is necessary to remove the structure from where it stands to make a grand temple there. It is necessary to remove the structure to make a Ram Janmabhoomi Temple. We all take this oath for Ram Lala).” No sooner had the oath been administered, began the assault on Babri. Dubious Role of VHP Chief Ashok Singhal: As it is already known and as it has come to light in the Cobrapost investigation as well, there were two determined attempts to demolish the Babri first in October 1990 and then in December 1992. However, the first attempt ended in police firing in which karsevaks were killed. Recounting the horror of October 30, Sakshi Maharaj says that if there is anybody to be blamed for the killing of karvsevaks, it has to be Ashok Singhal, none else: “Toh mere saamne Ashok Singhal ji ne kaha Maharaj kuch log nahi marenge toh andolan upar nahi uthega toh aap agya do jaane ki … toh Ashok Singhal ji ne kaha … Vamdev ji ne kaha bache marenge toh bahut kaam kharab ho jayega … Bole Maharaj jab tak nahi marenge tab tak kuch hoga nahi andolan, tabhi barhega (Before me, Ashok Singhal said ‘Maharaj (to Vamdev), the movement would not gain momentum unless some people die’. This is what Ashok Singhal said. Maharaj Vamdev said it will be disastrous if children die. Ashok Singhal again said the movement will not get a fillip until they die).” Sakshi avers that well-known karsevaks like the Kothari brothers from West Bengal and Mahendra Singh from Rajastan were deliberately targeted by the police at the behest of some vested interests spearheading the Ram Janmabhoomi movement. Adding credence to Sakshi’s averments, then BJP leader and MP Uma Bharti also blames Bajrang Dal leader Vinay Katiyar, her compatriot in the movement, for the killing of the Kothari brothers: “Jo log mare the wo Vinay ki galti se. Galti bhi nahi wo bhagdar machi wo gali chhoti thi. Galti matlab wo bhag gaya chhodkar bhag gaya (They got killed because of Vinay’s mistake. Actually, there was a stampede and the byelane was narrow. By mistake he fled the scene abandoning his group).” These revelations add a new dimension to the Ayodhya conspiracy and raise a pertinent question with regard to the intent of its leaders: Were they using the youth as sacrificial goats? Like Sakshi Maharaj and Uma Bharti, Dharmendra Singh Gurjar, another frontline leader of Bajrang Dal at that time, is critical of the manner the leaders used the youth of the country for furthering the movement, only to dump them later: “Ye sab bewaqoof banane wali baatein hain isiliye toh humara desh bewaqoof banta aa raha hai … pehle hum jawani ke josh mein the … junoon mein the ek junoon tha guzar gaya … logon ne upyog kiya aur chhod diya use karke (All this talk is an exercise in making a fool of people … this is why our countrymen are made a fool every now and then (by such leaders) … in those days I was being driven by the enthusiasm of youth … I was driven by plain madness … it was plain madness which has passed … people used us and threw us out after using us).” Drawing an analogy, he says “leaders use us in the same manner as we use tobacco”. What he says shows his complete disenchantment with proponents of Hindutva: “Aise logon ke sath kiya bees saal baad logon ki zaroorat nahi ya jo bees saal baad naye yuva honge unka upyog karenge (This is what they did. After 20 years (of the Ayodhya movement), they don’t need people like us … or they will use the new generation of youth after 20 years).” Another interesting fact that Cobrapost investigation has thrown up is that disenchantment against the BJP leadership runs deep also among the more hardliners of Ram Janmabhoomi movement leadership. Hindu Zealot Cursing Fellow Hindu Zealot: If leaders like Gurjar feel cheated, Acharya Dharmendra too feels slighted at the compromising stand of leaders like L. K. Advani: “Sachai ye hai ki Advani ji karm fod rahe hain abhi tak karm fod rahe hain ki mere jeevan ki abhi tak ki sabse badi durghatna thi. Sachai ye hai. 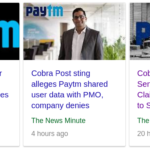 Toh fir kis ko kya fayada hona hai? Atalji ne kaha mere jeevan ka sabse sharmnak din hai toh aur kya sachai hai? Sachai ye hai Arun Jaitley ne kaha ki Hindutva humare liye ek loklubhavan nara hai anyatha hum Gandhivadi samajvadi dharmnirpeksh loktantra mein vishwash rakhte hain. Satya ye hai ki Sushma Swaraj ne 1992 mein ye kaha ki Ram Janmabhoomi ek baar hi cash hota hai aur wo humne cash karwa liya wo karva chuke aur kya satya hai? (The truth is Advani is still cursing his karma going about saying that it (Ayodhya demolition) was the saddest event of his life. This is the truth. Then, who is going to benefit? Atal (Behari Vajpayee) said it was the most shameful event of his life. What more truth you want to know? The truth is (BJP leader) Arun Jaitley said that Hindutva is a populist slogan for us. Otherwise we believe in the Gandhian, Socialist and secular democracy. The truth is Sushma Swaraj said in 1992 that you can encash Ram Janmabhoomi movement only once and we have done that).” Mahant Avaidyanath too spews venom against Advani: “Advani bahut … unko toh zinda nahi rehna chahiye (Advani … he should not stay alive).” He says the rest of the leadership: “Nahi sab swarthi log hain jo iss tareh se kehte hain kyonki aapko Hindutva ki avashayakta nahi hai jab zaroorat hoti hai istemaal karte hain (No, all these leaders are selfish who say such things because they don’t need Hindutva at all. When they need it, they just use it).” Another leader who has only disdain for leaders like L. K. Advani is Santosh Dubey. He says bluntly: “Jisko iss desh ka Hindu bhagwan maan raha ho jab wo hi jhooth bolne lag jayega toh log usko shaitan manane mein bhi der nahi karenge. Advani jhoothe aadmi hain unhone Jinna ko Brahmin aadmi bataya. Ganda aadmi hai kul milakar. Dhancha tudwane mein unki poori sahmati hai kaise jageh jageh unhone jaloos nikala sabhayein ki har jageh bolte the. Aapne toda hai ya nahi toda hai lekin aapne lalkara toh, todne wale toh taiyar kiye(If someone who the Hindus revere as God begins to tell a lie, it will not take long for them to trash him as a Satan. Advani is a liar who said Jinnah was a Brahmin. He is a dirty fellow in all. He had agreed on the idea of felling the structure. It was he who led the processions, addressed the meetings and talked about it everywhere he went. You broke it or not, but you gave a call and prepared people for the job).” Role of Kalyan Singh, the Nero:A fallout of the events that followed the failed attempt on Babri and killing of karsevaks in October 1990 was that BJP came to power in four states, and Uttar Pradesh was one of them, with Kalyan Singh at the helms. Now, the approach was diametrically different from the approach that the local administration had in the 1990 karseva. Although Kalyan Singh had the foreknowledge of what going to happen on December 6, he chose to look the other way round. Mahant Ram Vilas Vedanti, another leader of the movement, claims to have informed Kalyan Singh about it a day before: “Paanch December ki raat ko hi Kalyan Singh ke paas samachar bhej diya gaya tha aur usmein ye kaha gaya tha ki yadi awashayakta padti hai toh dhancha bhi tod diya jayega aapko kya bhoomika nirwah karni hai vichar kar lijye (On the night of December 5 itself Kalyan Singh was informed of it and he was told that if need be the structure would be felled. Now, you decide what you have to do).” Sakshi Maharaj also claims to be in constant touch with the then chief minister. It is learned that at one point, Kalyan Singh had made up his mind to resign in the morning on December 6 when he came to know an assault on the disputed structure has begun, but senior leaders of the RSS like H. V. Sheshadri and Murli Manohar Joshi dissuaded him, while BJP leaders in Lucknow made him captive the whole day until a clean job of the mosque had been made at Ayodhya. What made the job easier for these zealots was a sympathetic administration and police force, which instead of discharging their constitutional obligations were goading the karsevaks to remove the “headache” the Babri had become for them. Pawaiya makes another interesting observation about the role the Provincial Armed Constabulary (PAC) played on December 6, 1992: “Wahan nirman kayra ka jo stall tha, uss stall ko todkar ke saaman nikala. Usmein jo rasse the aur jo PAC tha jo Uttar Pradesh ka usne chhaini aur ye saari cheezein logon ke haath mein di ki isko saale ko sirdard ko khatma karo to wo sahyog mein lekar usase toota tha. Matlab PAC favour mein thi poora sainya bal ye keh raha tha kya-kya chahye tumhein tod daalo tum ye tha wahan par (There was this stall for construction work. That stall was broken apart and the ropes and other stuff were taken out. The PAC of Uttar Pradesh gave the people chisels and other implements saying they should remove this headache forever. This is how they cooperated in the demolition. I mean, the PAC was in absolute favour. The constabulary was saying tell us what you want. You break it down. 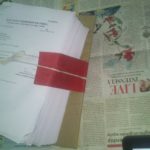 This is how it happened).” There is no surprise if the then District Magistrate Ravindra Nath Srivastava and Senior Superintendent of Police (SSP) Devendar Bahadur Roy find themselves among the accused in the CBI chargesheet. Role of Prime Minister P. V. Narasimha Rao: After the Babri Masjid demolition, there were allegations flying thick and fast that then Prime Minister P. V. Narasimha Rao had given his tacit support to the demolition. Cobrapost investigation finds these allegations true as some leaders at the forefront of the Ram Janmabhoomi movement like Vinay Katiyar, B. L. Sharma, Santosh Dubey, Sakshi Maharaj and Mahant Ram Vilas Vedanti openly acknowledge Rao’s supportive role. An Elephant and Four Blind Men: Interestingly, on the surface, the interviews all these proponents of Ram Janmabhoomi movement had with Cobrapost’s Associate Editor Ashish remind us of the story we read in our school days in which four visually challenged persons get hold of an elephant and describe it the way they perceive the different body parts they are holding. But in the end, they serve the same purpose. Similarly, all the major leaders interviewed describe the various aspects of the movement, and between their claims and counterclaims one has to read the subtext to ascertain their involvement in the larger conspiracy and execution, so subtle are their answers at times to pinpointed questions. For instance, Champat Rai Bansal would draw an analogy when he describes his role in the demolition of Babri Masjid. Bansal asks the reporter who killed Rawan? When the reporter says it was Ram who killed Rawan, Bansal in turn asks: “Vibhishan ki bhoomika nahi hai (Didn’t Vibhishan have a role in it)?” Bansal is no minion to make such statements that would not carry weight, for the high-ranking functionary of VHP and a close aide of Ashok Singhal was one of the architects of Laxman Sena which was entrusted with the task of razing Babri to the ground on December 6, taking advantage of the sea of restive karsevaks gathered there at Ayodhya. His understatement suffices to make it clear that the whole ‘Operation Janmabhoomi’ was conducted with utmost secrecy, with even some senior most leaders of the movement never coming to know of such audacious plan. Callous Face of Hindutva: However, a very callous and indifferent face of this movement and its leadership comes in full glare when the Cobrapost reporter reminds Mahant Avaidyanth of the sacrifices numerous karsevaks such as Vinod Vats, whose old parents now have nothing to fall back upon. Avaidyanath nonchalantly makes light of such a sacrifice: “Sabko marna hai tumko bhi hai mujhe bhi marna hai. Mrityu ko kaun rok sakta hai(All have to die, both you and me. Death is inevitable).” He has the same philosophy for his old, helpless parents: “Wo bhi marenge unko bhi marna hai (They will also die. They also have to die).” A Witness to the Fraud: The Cobrapost investigation brings to the fore one more fact: the appearance of Ram Lala at the Babri Mosque was not the result of some divine intervention but the handiwork of a petty priest and two senior government officials who became willing conspirators in this fraud. A witness to this deceit was none other than Baikunth Lal Sharma alias Prem, two-time BJP MP from East Delhi. It all happened before his eyes in 1949, Sharma claims, when he was posted in Ayodhya with Military Police as a Warrant Officer. Priest Ram Chandra Das, a regular visitor to their unit, informed them how on a particular day Ram Lala would appear. Debunking the theory of Ram Lala’s ‘divine appearance’, Sharma avers: “Arre ji kahe ke prakat hone wale … prakat kiya hai … wo toh maharaji ka kaam tha na Ram Chandra Paramhans (How would He (Ram Lala) appear? He was made to appear … It was the handiwork of Maharaj Ram Chandra Paramhans).” At some other point in the course of his interview, this Hindu-zealot-turned-Khalsa claims: “Ayodhya ki baat sun le main 15 December 1949 ko Military Police mein tha, Ayodhya mein hi tha mere 13 logon ka main warrant officer tha. Hum logon ko jab moortiyan sthapit hui main wahin tha … Thakur Guru Dutt Singh ji the aur Nayyar sahib the theek hai inhone sahyog diya humara jab kabhi hum Faizabad mein humari unit thi bacche Muktar Ghat par (Now, listen to what happened in Ayodhya on December 15, 1949. I was then with Military Police and was posted at Ayodhya. I was Warrant Officer of a unit of 13 military personnel there. Posted there was Thakur Guru Dutt Singh and Nayyar. They helped install the statues. Our unit was stationed at the Muktar Ghat in Ayodhya).” Although the chronology of events Sharma claims to have been witness to is not accurate (there is a difference of only one week), what he says is irrefutable, for the two officials K. K. Nayyar and Guru Dutt Singh were, respectively, the district magistrate and city magistrate of Faizabad, who wrote the script of this fraud, collaborating with priests Ram Chandra Das, born Chandreshwar Tiwari in Bihar, and Dharam Das. In 1952, Nayyar took voluntary retirement to join Jan Sangh, the political front floated by the RSS, and became an MP in 1967. Priest Ram Chandra also grew in stature to attain the title of Paramhans in the Hindu religious order as lakhs of Hindus were mobilized by the RSS and its extension VHP and other Hindu outfits in the 1980s with the opening of the gates of Ram Janmabhoomi in 1986 by the Congress government of the day, with the movement reaching a crescendo in 1990 and finally culminating in the demolition of the Babri Masjid in 1992, irreconcilably polarizing the country on communal lines. 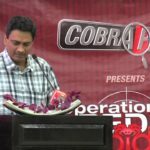 This is a copy of the Cobrapost expose. Backed up here just because BJP is busy invoking the Election Commission and what not to silence this.